While working on BW 74 upgrade I notices there are many changes in BW in many areas. I’m not writing today about some significant new features (new objects types like Advanced DataStore Object; CompositeProvider etc). Just want to mention few remarks on how BW changes over different releases. Particularly in area of Query Properties in tcode RSRT. A new checked was added: Calculation of Commutative Formulas After Aggregation. 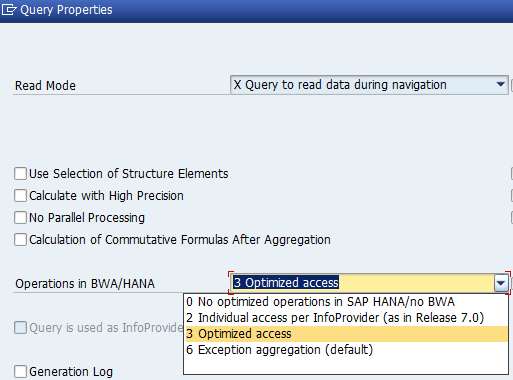 Dropdown menu of Operation in BWA/HANA was renamed. Option 3 which was called as Standard is called Optimized Access now. These changes may look cosmetics thought. 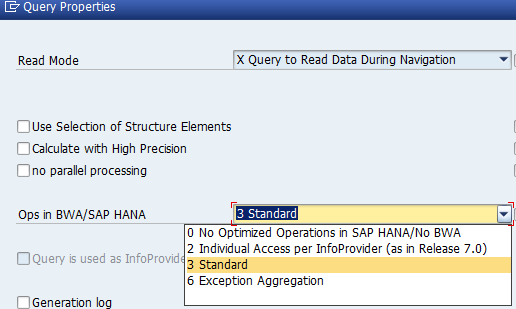 However options in Operation in BWA/HANA settings are not. 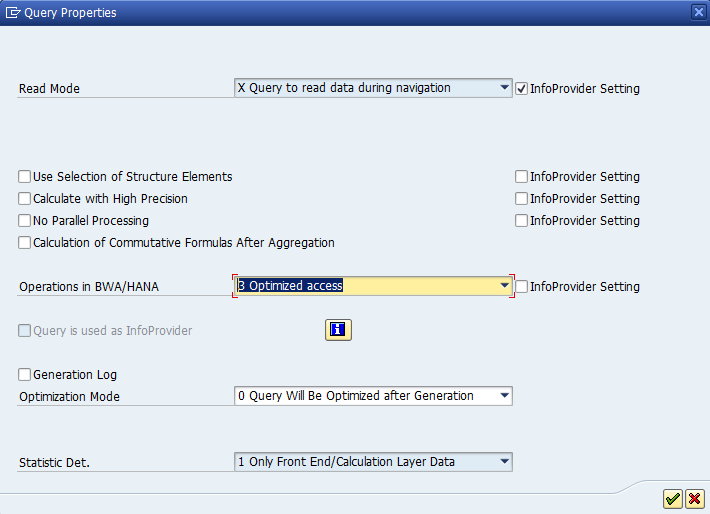 As per the settings in this particular field an query processing is set within BWA or HANA. So far (in 73) standard settings was option 3 = Standard. 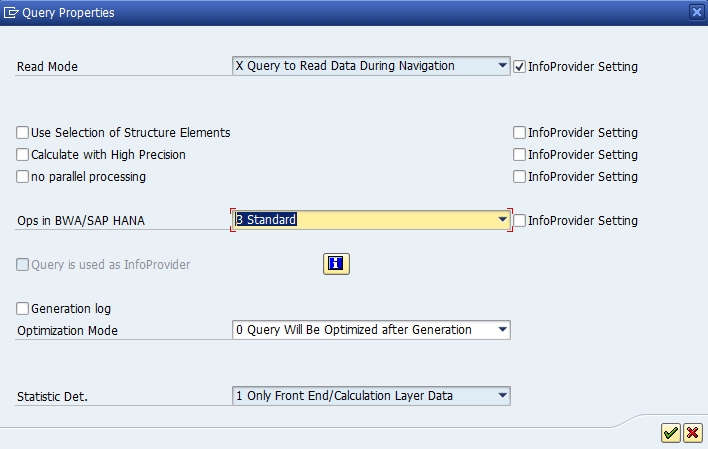 However having majority of the queries marked as 3 can cause problems in BWA/HANA. These problems can be linked to issues of memory consumptions or data correctness. Therefore as per SAP Note (1790426 - Processing MultiProviders in BWA) the 3 is not default option anymore (e.g. in 74). New default is option 2 = Individual access per InfoProv.